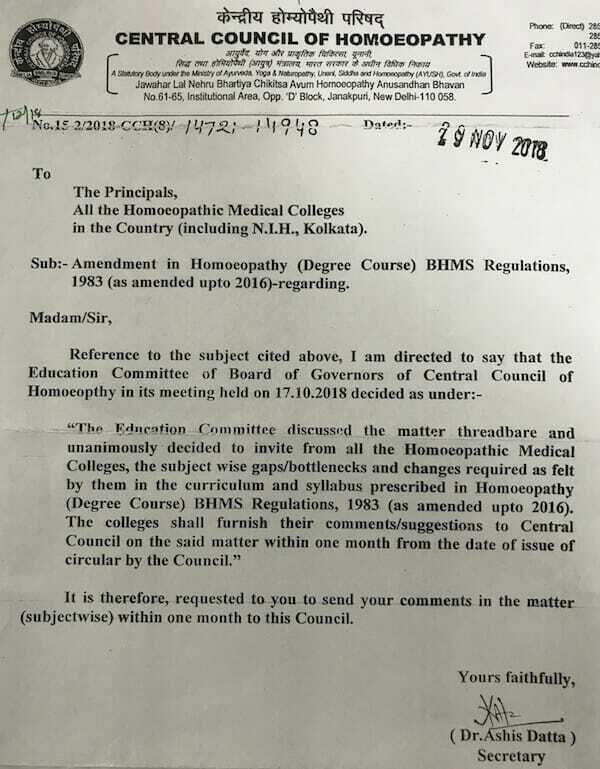 Board of Governors of Central Council of Homoeopathy inviting the suggestions to improve the BHMS regulations 1983 – lastly amended in 2016. The BoS unanimously decided to invite suggestions from all homoeopathy medical colleges – subject wise gaps/bottlenecks and changes required as felt by them in the current curriculum and syllabus. Exactly , there is nothing wrong with the syllabus .Medical college should be competent and equipped to train the students practically . Thats the need of the hr .